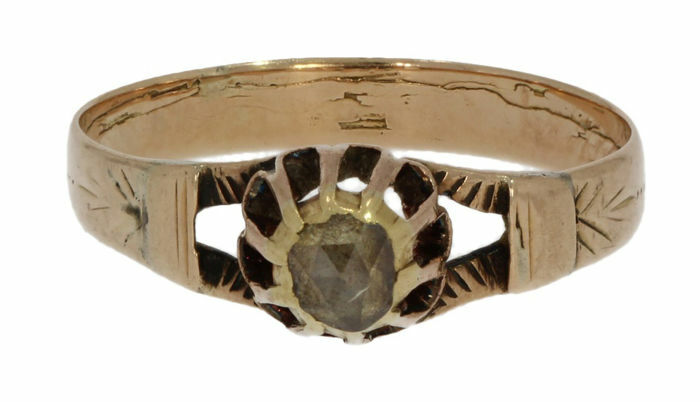 Antique gold solitaire women's ring set with old cut diamond, approx. 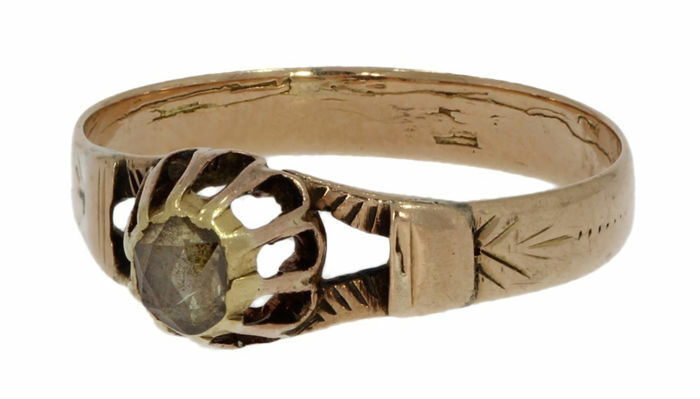 0.15 ct, lovely handmade Victorian item of jewellery. 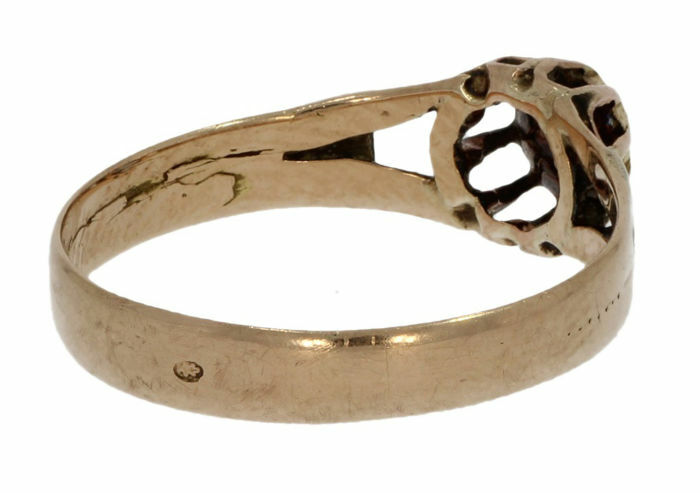 The ring shank is tooled with a chiselled floral pattern. The ring size is 17.5, the weight is 2 grams, elegant model. 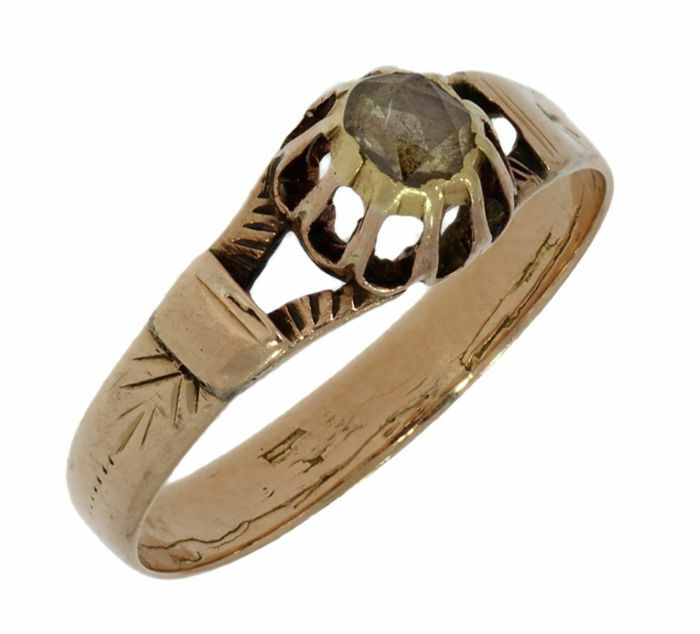 The ring head is 7 mm wide, stamped with the 585 gold hallmark and the Dutch oak leaf. Condition: beautiful antique condition, normal signs of wear. 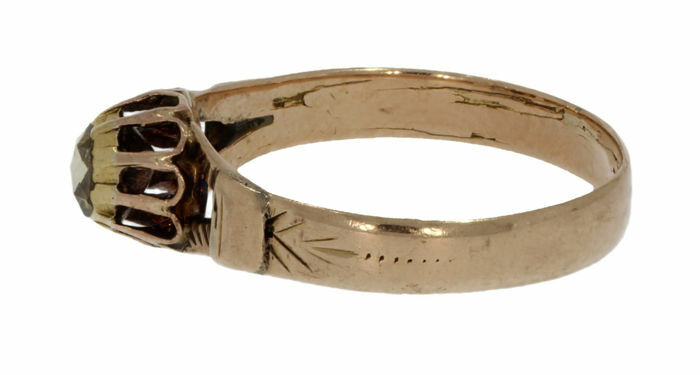 Please assess this item of jewellery based on the close-up photos for a good impression of the quality and condition of this ring. The photos are displayed magnified in order to show you the quality and condition of this item of jewellery in the best possible way! Comes in a jewellery box, and shipped well-packaged, by registered post.